Whataburger did it again! 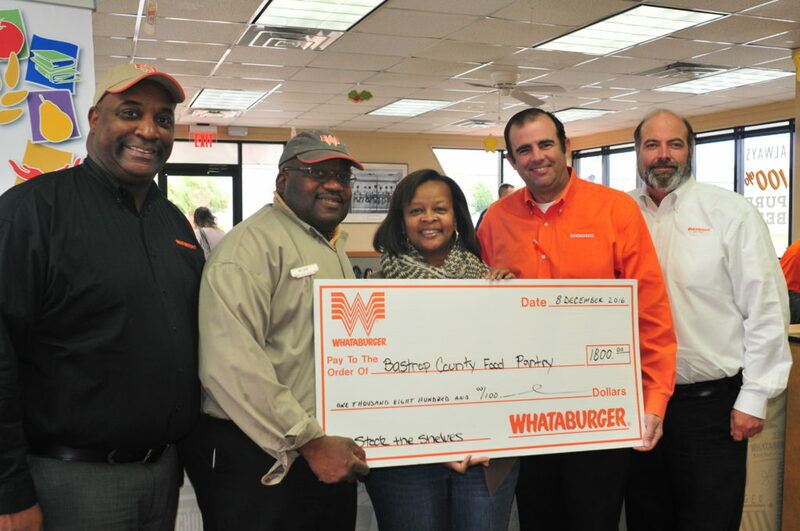 The Whataburger team “Stocked the Shelves” this holiday season at the Food Pantry. They raised $1,800 dollars in the month of November. Thank you to Robert Smith for selling the most at 80 per day for three weeks!